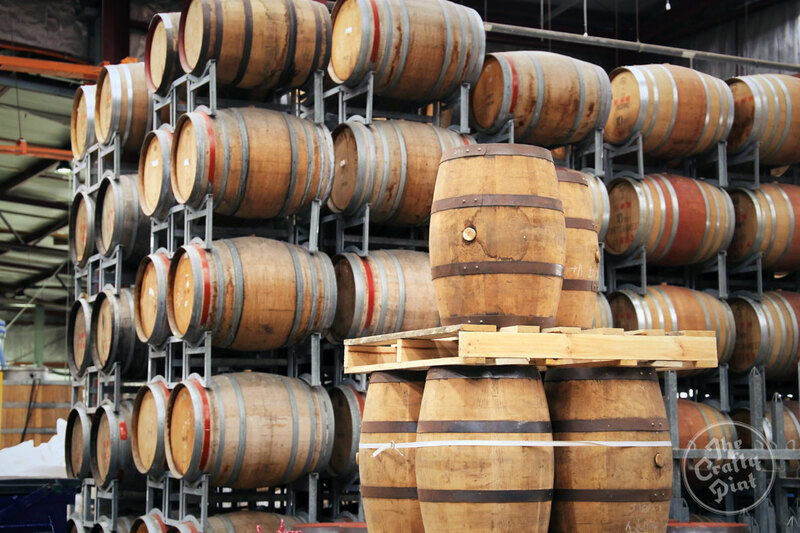 As Australian breweries turn their minds ever more towards the alchemy of barrel ageing, those holding the barrels find themselves in hot demand. Melbourne’s own New World Distillery – creator of the internationally renowned Starward Whisky – is quickly making its mark in the beer universe thanks to partnerships with a select number of Australian breweries. The origin story of New World Distillery hits a few similar notes to those of burgeoning craft breweries. After eight years working behind a desk, founder David Vitale hits the road with his fiancé in search of inspiration. 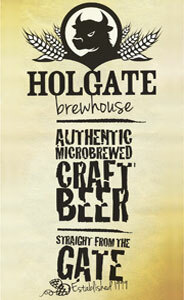 Making his way to Tasmania, he entertains ideas of setting up an organic brewery. But the stars seemed to have something slightly different in mind, as a chance meeting at a Tasmanian micro-distillery sends him in a new direction. Upon his return to Melbourne, he finds a group of willing investors, and starts plotting the way for a whisky distillery in the Melbourne suburbs. However, where young breweries can be producing a product for sale in a matter of months, whisky requires significant reserves of patience. Those first steps were taken in 2004; the first whisky was released in early 2013. Since those early days, a converted Qantas aircraft hangar in Essendon has been transformed into a whisky drinker’s mecca, with sherry, wine cask, and experimental releases all available over the distillery bar as you take in the sight of barrels stacked upon barrels stacked upon barrels. Where many distilleries would open their doors with a gin or vodka offering to keep the lights on, New World steered clear of that approach. Paul Slater (above right), the distillery’s marketing manager, says it was a very conscious decision. “The way that we set things up was to get more financial backing and focus purely on whisky to avoid getting distracted. He admits many would see it as a slightly insane approach to business. The enticing glow of a fine whisky at New World Distillery. But the patience paid off. 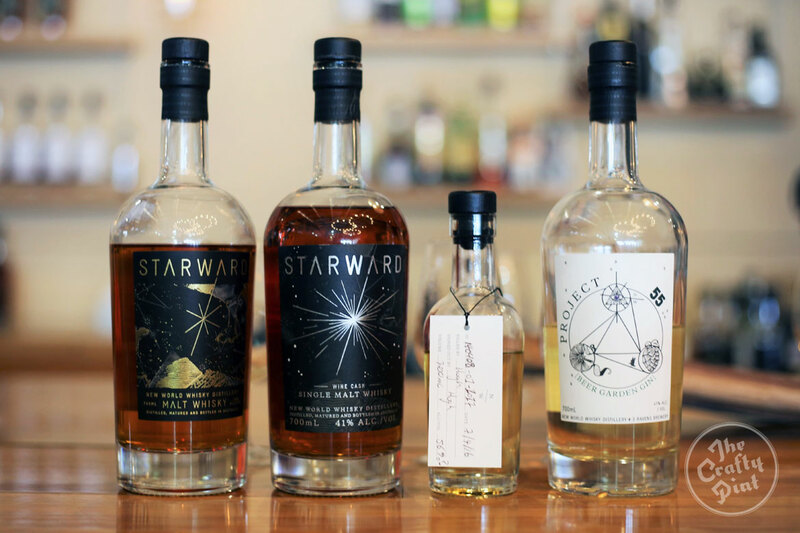 Their flagship product, Starward Whisky, is now aged in both Apera sherry barrels and red wine barrels and readily available across the country and overseas. 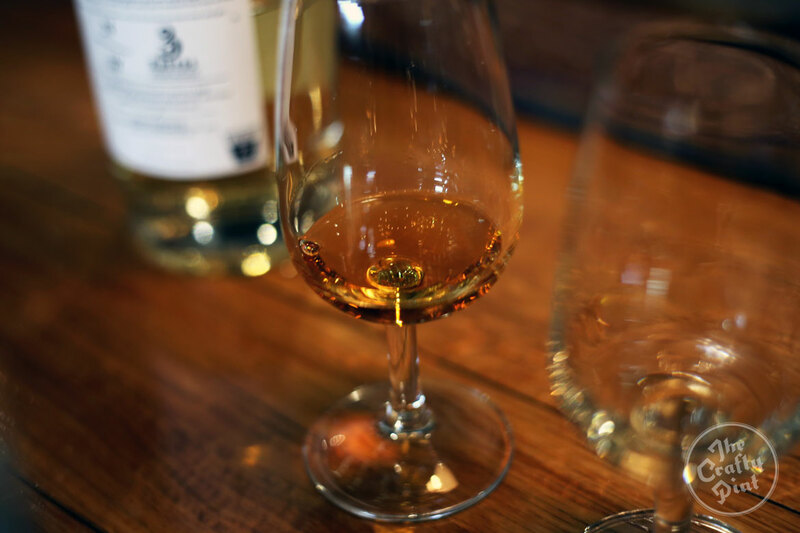 On top of that, their wine cask expression was recently awarded Best Australian Single Malt Whisky at the World Whisky Awards. The Apera expression came second. “What we’re doing is bringing to the table a style that’s quite approachable really. It’s not too far flung or too shocking to anybody’s palates,” says Paul. “Our first release, the Apera, was well received straight off the bat. But when we had more confidence and understanding of our own product and went ahead with releasing the wine cask expression, that was more of a big deal. 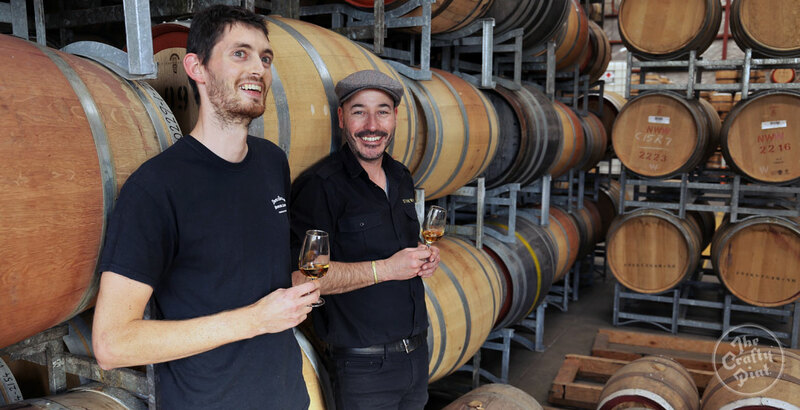 Distillery manager Sam Slaney (pictured left at top) was the first man to join David on the New World team, and says it didn’t take long for enterprising brewers to come knocking once barrels were being emptied. The whole distilling team had a background in beer, so making connections with the right breweries was easily done. The first barrels went to Boatrocker, where a former New World distiller had joined the brewing team. They would be loaned barrels for the production of barrel aged beers on the condition they were well looked after and returned to New World in one piece. Those Starward barrels were to be put to the test for Boatrocker’s big idea at the time – a barrel aged imperial stout that came to be called Ramjet. And we all know how that turned out. Barrels have since landed at White Rabbit, 3 Ravens – head brewer Brendan O’Sullivan has previously worked at New World – and Dainton Family Brewing. Barrels: can't get enough of them. The demand for barrels has grown significantly, particularly in the last three to four years, Sam says. “At the start of our business, it was just a bit of a novelty in Australia. It’s interesting to see where barrel ageing has gone over that period of time. But simply passing a beer through a barrel can become a monotonous concept for a distiller, so New World instead focuses on building strong and dynamic relationships with breweries, he says. “If there’s nothing special about the beer, other than the barrel ageing itself, it can get pretty dull – especially if that beer gets over extracted or overaged. Where’s the excitement in it? The relationship with Boatrocker in particular has gone from strength to strength, with Starward barrel aged Ramjet now in its third vintage. Head brewer Matt Houghton believes the relationship has developed because there is a mutual appreciation for the importance of quality. “I think we have similar mindsets of barrel experimentation, with a clear focus on producing delicious barrel aged beers or spirits. Beyond Ramjet, which was released for the third time in April, Matt has also found time to drop some more experimental brews on New World’s doorstep. Bottled Alpha Queen left at a contract brewery during Boatrocker’s move to their Braeside premises was decanted – all 3,000 litres of it – and handed over to New World to distill into 200 litres of spirit, which has since been sitting in barrel for two years. Starward's whiskies accompanied by the distilled Alpha Queen and 3 Ravens gin. Ever patient, Matt and Sam are leaving it to age for another year to let it develop a woodier presence. Other projects between the two companies are in the wings, including a potential run of Ramjet whisky, and one project Matt is keeping under wraps. For Sam and his distillery team, partnerships with breweries do not have to stop at whisky. 3 Ravens recently released a New World collaboration gin titled Project 55 Beer Garden Gin with a hop profile matched identically to their 55 American Pale Ale. While not a product New World usually focuses on, when head brewer Brendan approached them with the gin’s concept, it was an easy thing to agree to. “Brendan’s really keen on flavours and hop extractions and so on, and had this beautiful concept of what he wanted to bring to life," says Sam. "For them, and for us, first and foremost it’s about the product. 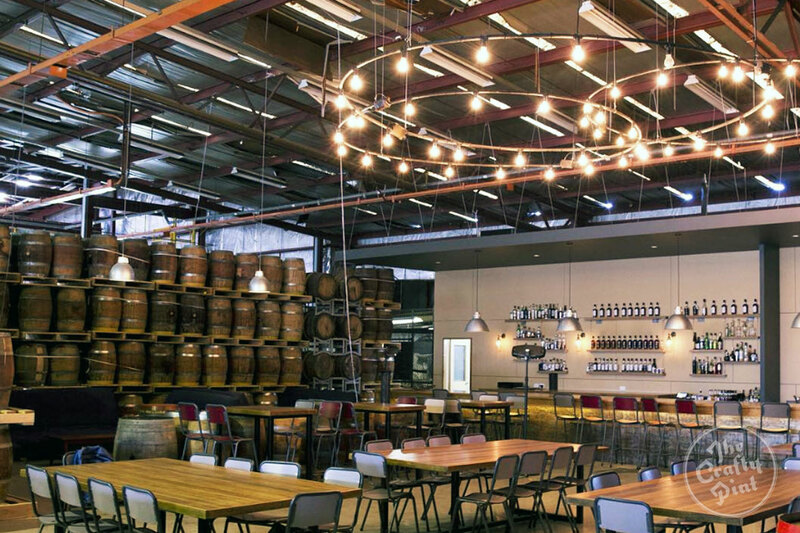 New World Distillery's Essendon tasting room. With breweries beginning to explore in more depth the characters that barrel ageing can bring to a beer, Sam believes New World will likely continue to cement the connections already in place. “You could easily spread yourself pretty thin, but it’s better to really build on things and making sure the brewers are getting the most out of the relationship that they can. “Having our barrels everywhere would also mean the name Starward would lose a bit of its value,” he says. GBW Presents: Barrel Baron Masterclass ft Boatrocker, 8 Wired and Brooklyn on May 14 NB Deadline for booking tickets is May 10!